So do you think you are ready to join the rest of the world of tourism and gain great new heights? The endless possibilities for your tourism business when you incorporate aerial drone photography into your everyday tourism. Let’s say your business revolves around touring kayaking services. Now just imagine how beautiful it is with an aerial video of your work in a panoramic views, 360 degrees and cenimatic shots. Now that will take your breath away and your customers. Have you ever thought about the opportunities by using drone videos and photographs? Well, it’s about time you do and take advantage of future tourism. It’s not just about selfies photos anymore it’s about having beautiful videos of you particpating in an adventure. Your business can really make use of drone videos andreceive the benefits you deserves. 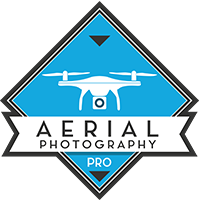 Create a video package to include aerial videos and photos. It can be as simple as providing an aerial group photos at the beginning and the end of the trip. To providing a full aerial video footage during the journey.